December 1st is National Fried Pie Day! Fried pies are small fried dessert pastries, which have fruit fillings wrapped in the dough. Fried apple pies were first introduced in McDonald’s in 1968, originally fried in lard. New Hampshire fried pies were the favorite dessert of U.S. president Franklin Pierce. 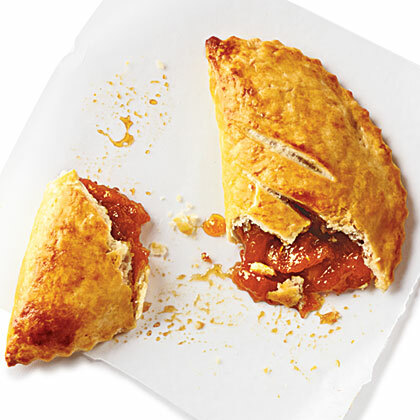 The two most popular flavors of fried pies in the deep South are apple and peach. 1878 The first telephone was installed in the White House in Washington, D.C. Alexander Graham Bell installed it himself. Rutherford B. Hayes was president. 1885 Pepper is sold for the first time. 1886 Rex Stout, American crime writer was born. More than 70 of his novels and stories feature the fictional gourmand/gourmet detective, Nero Wolfe. Archie Goodwin, the detective’s assistant, described him as weighing “one seventh of a ton” (about 286 pounds). Shad Roe and Duck were two of Wolfe’s favorites, and he also consumed copious amounts of beer. Stout also published ‘The Nero Wolfe Cookbook’ in 1973. 1936 The first patent was issued for a commercial scale hydroponic system for plant culture (a‘hydroponicum’). Ernest Walfrid Brundin and Frank F. Lyon received the patent on the system they had set up the previous year. 1944 Eric Bloom of the music group ‘Blue Oyster Cult’ was born. 1990 British and French workers digging the Channel Tunnel from their respective countries drilled through a final piece of rock and shook hands, 22.3 km from the UK, 15.6 km from France. 1999 The Russian Duma passed an animal rights bill that prohibits people from eating their pets.